Hello, lovelies~ Ever heard of Vanity Trove? You know, the beauty box that has gotten everyone hyped up over the past year or so? No? 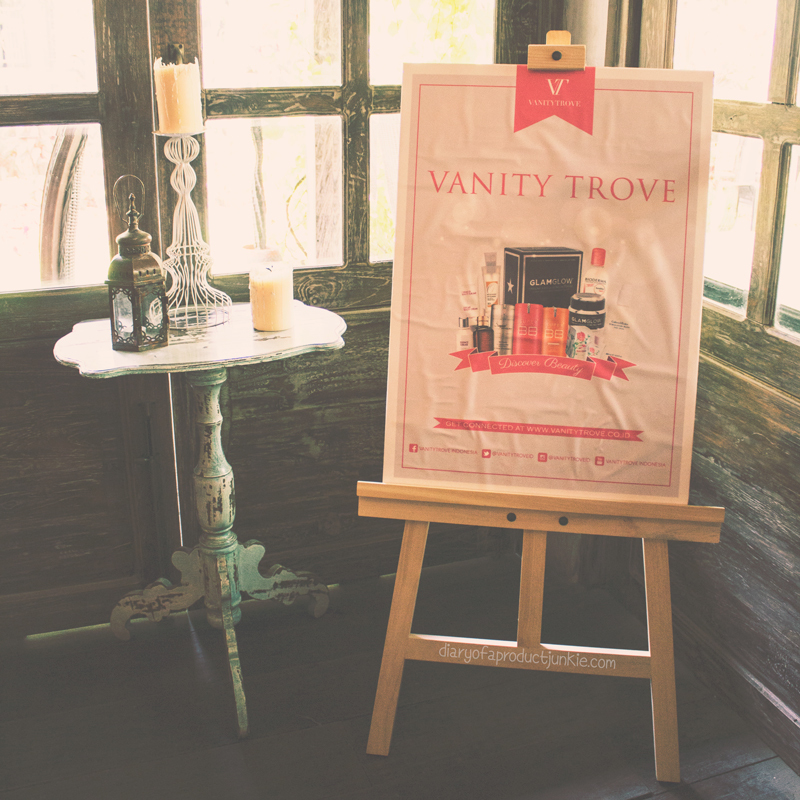 Well, you're in luck because I'm about to tell you all about Vanity Trove (VT) in this post. 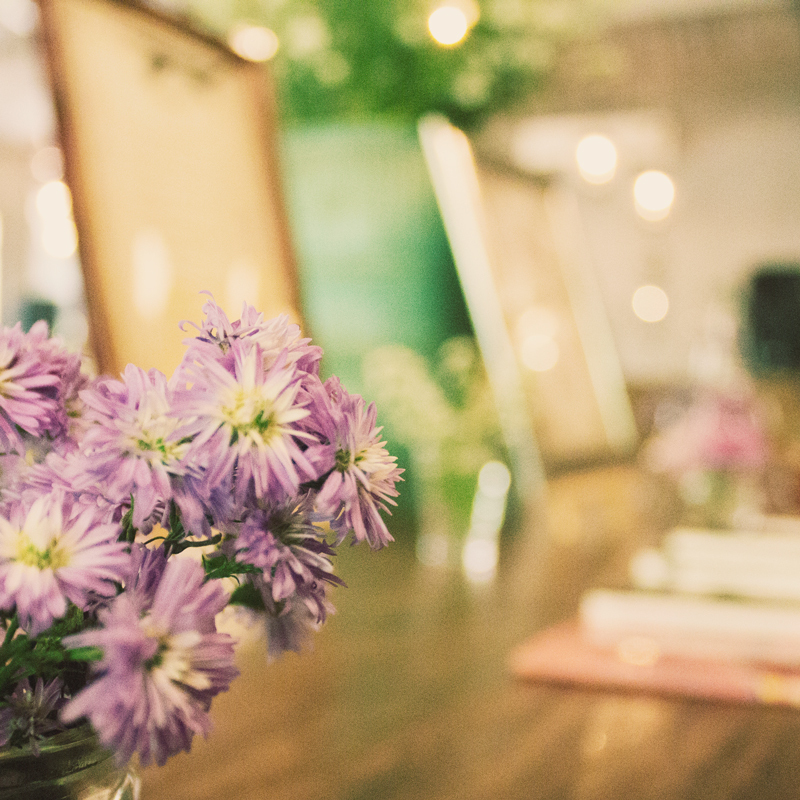 I was invited to their Beauty Influences Gathering last week at Bistronomy to know more about VT and their services. 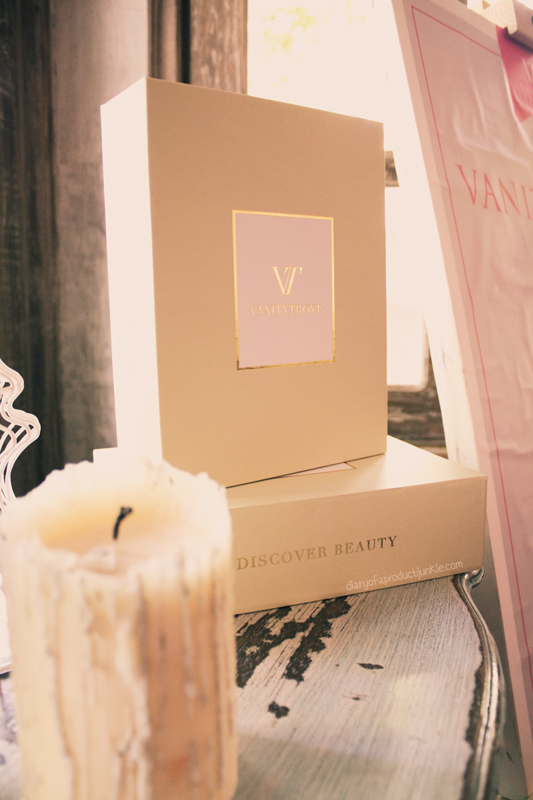 Vanity Trove entered the Indonesian market last year, bringing the concept of a 'surprise' beauty box that the subscribers get every month. 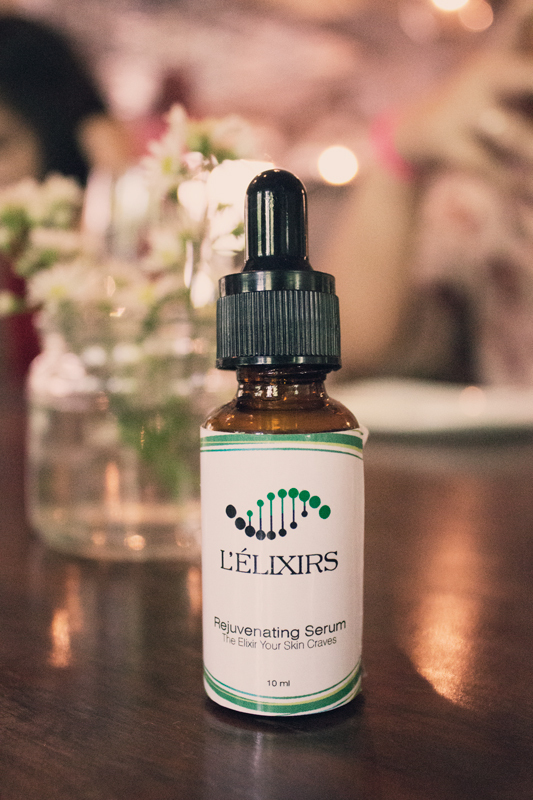 The products range from skincare, makeup, body care, hair care, and many more. My favorite part about this beauty box service is the part where I get to choose my own items for that month's trove. I know it eliminates the surprise factor, but sometimes I just want to get what I want. 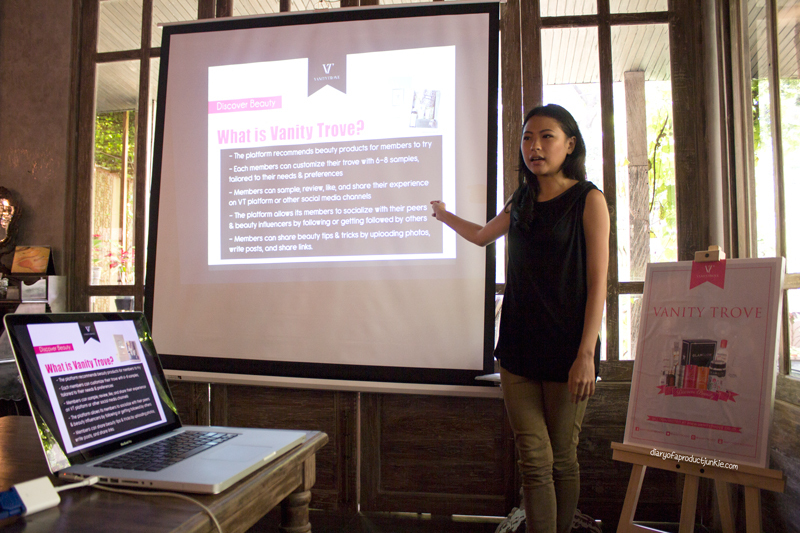 Before lunch, we were given a brief presentation about Vanity Trove and their customized trove, along with the announcement of their newly launched mobile app. VT is not only a beauty subscription, but also a beauty community where you can share your thoughts about certain beauty products. cc bagus wrn tone warna foto2nyaa ^^ edit pake apa ci? 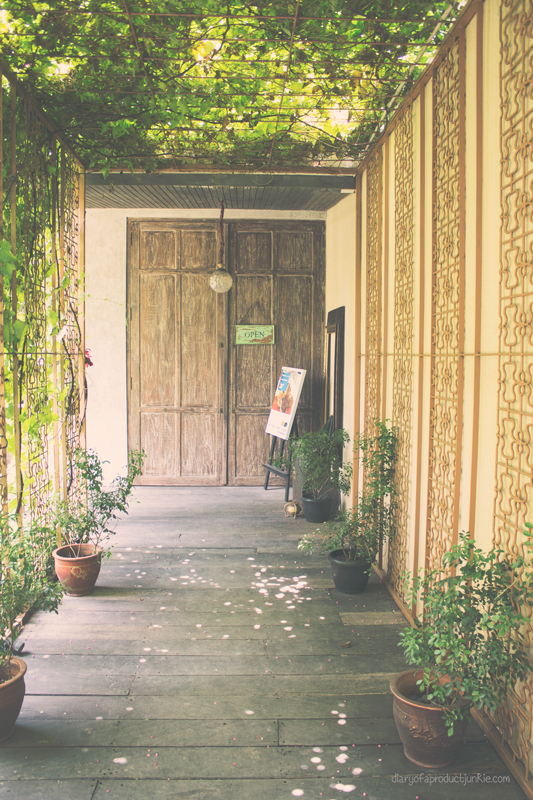 lightroom kah?